Did you ever wonder what happens to unearned 100 Mile Club Tees? 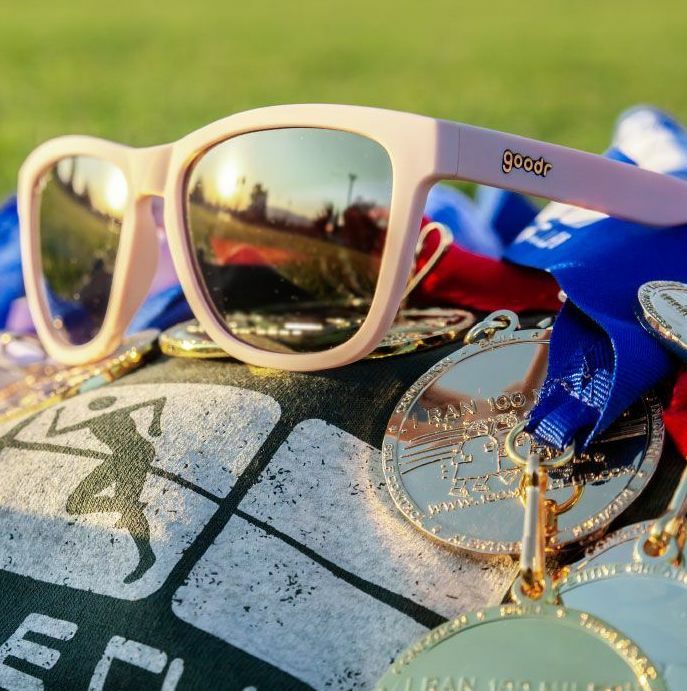 In order for a participant anywhere to earn and wear a 100 Mile Club t-shirt, he or she must run or walk 25 miles or more. Period. That is the only way it happens. Sometimes, there are shirts out in the world that are not quite earned. Things happen. We get it. Why, you might ask, don't you just let the coaches give the t-shirts out at the end of the year if kids don't earn them? Well, that's sort of like signing up for the Boston Marathon or a local 5K and not showing up. Then, calling the Race Director 10 months later and demanding your finishers medal. It just doesn't make sense. And what would that teach our kids? We do not want 100 Mile Club tees given away or sold if they are not earned. Doing so cheapens the process and makes that hard-earned and valued prize virtually worthless. Our coaches understand this, and many return their unearned tees to us at the end of the school year. Our mantra...ALWAYS EARNED. NEVER GIVEN. carries on when tees are graciously returned to us at the end of the year by coaches who have leftovers or when we have a surplus here at the office. These tees get another chance to be earned. They get a second life. This would not be possible without the support and generosity of The Shopper Inc./TSI – Uniforms, our shirt vendor and partner who graciously donated over 1,000 t-shirts just for this race. We haven't spoken of this much, but now we think it's time. 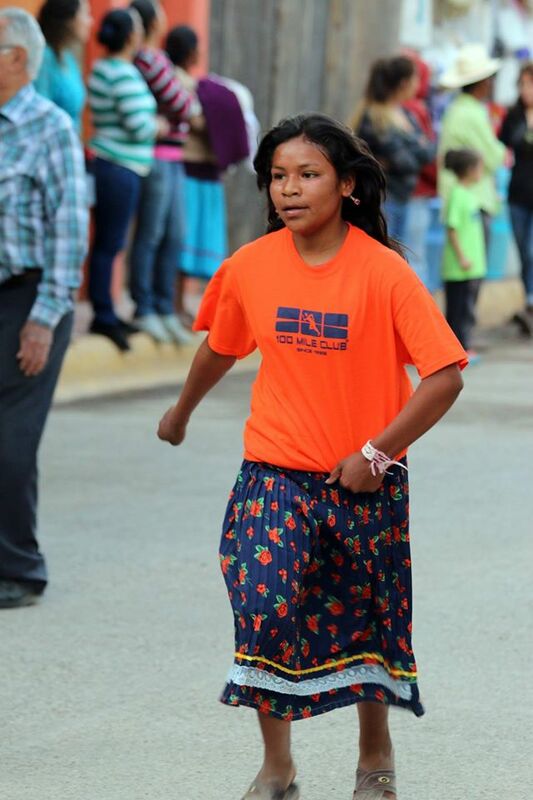 In a few days, 1,000 of these t-shirts get to travel to La Carrera de los Caballitos (Translation: The Run of the Little Horses) in Urique, Chihuahua, the Kids Run at the Ultramarathon Caballo Blanco, They will become part of celebrating a tradition of running among the Rarámuri or Tarahumara. 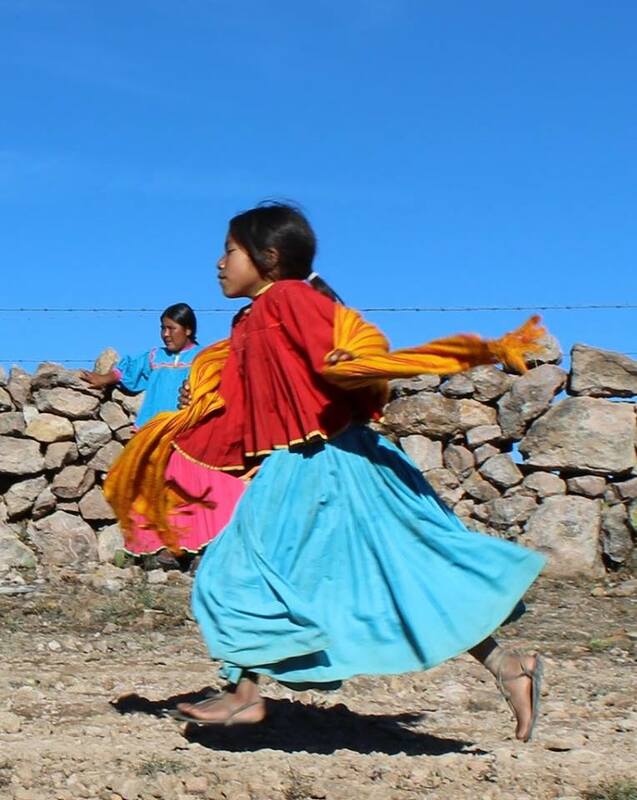 The Rarámuri or Tarahumara are a Native American people of northwestern Mexico who are renowned for their long-distance running ability. 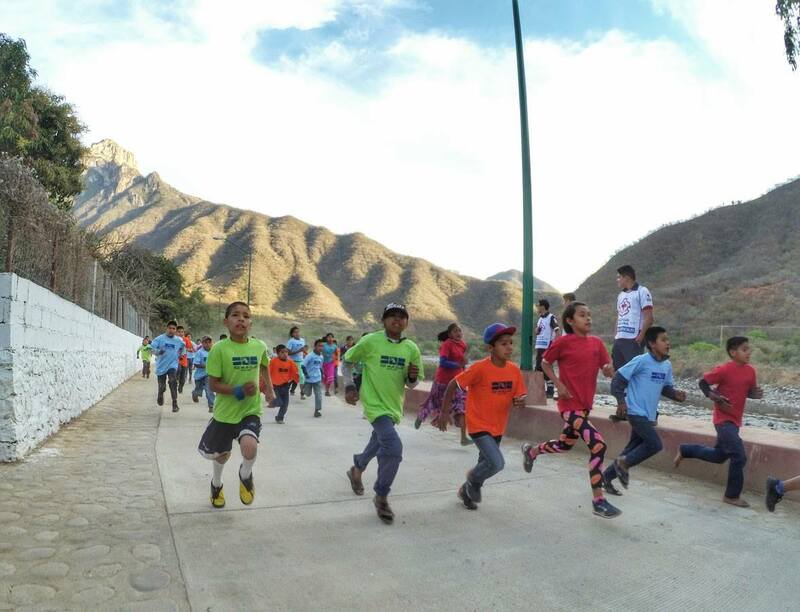 The children in Urique run. And on March 2, they will each receive their newest 100 Mile Club® shirt. 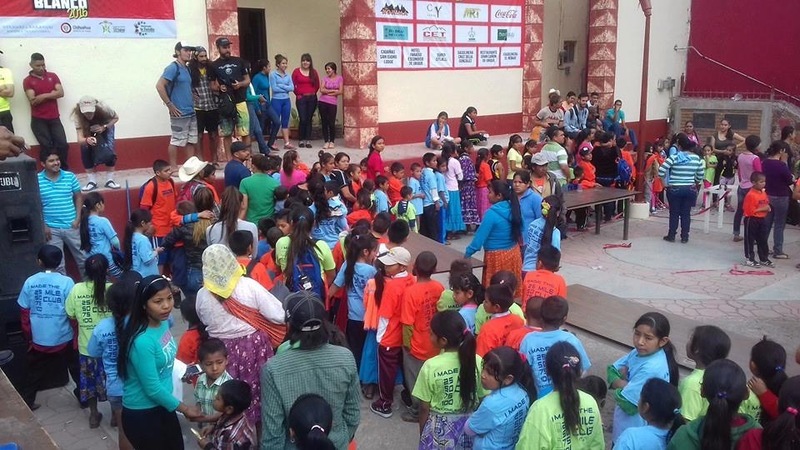 Many of these kids earn their 25 miles simply by physically getting to the short race they will run that day. Running from their homes high above the city center, to the race and back home again is, for many, well over 25 miles. For a large number of these children, this is the only brand new shirt they receive all year. Phyisical incativity is not a thing in Urique. These kids move. They are fit. And FAST! The medals for the race? They are also donated...by people just like you. 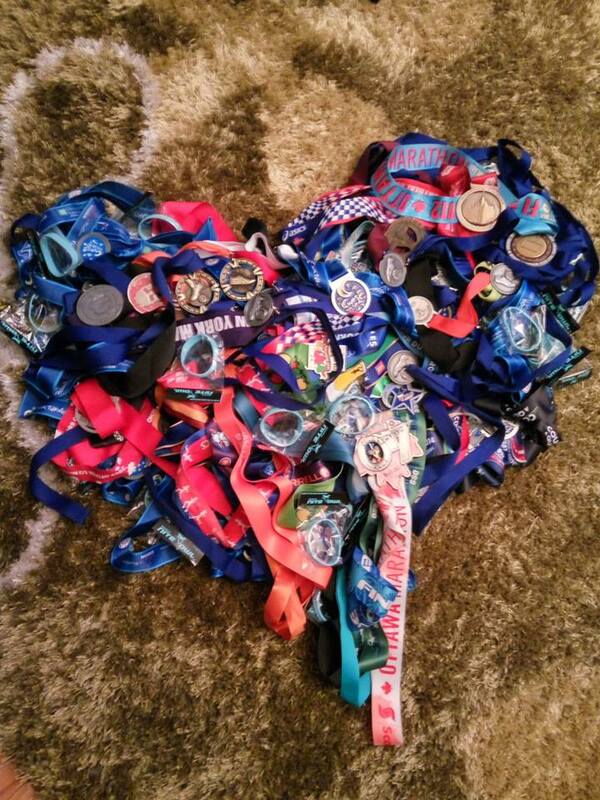 This year, led by Patrick Sweeney and our friends at Mas Korima, over 1,000 race medals were gathered from all over the globe. These will be awarded to each child at the finish line. Together, and in the spirit of "Mas Korima", we have a race!! This year, I (Kara) have the privilege of once again attending this event that we have been supporting for the past 6 years. 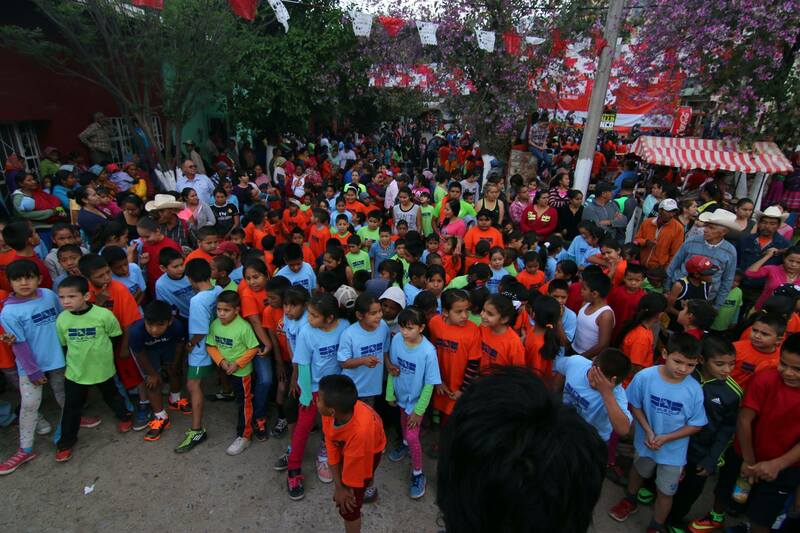 Along with a group of incredible people, affectionately named "Mas Locos", we will begin our travels on February 24, heading down to UMCB and help with la Carrera de los Caballitos. I'm already overwhelmed and I haven't even left yet. 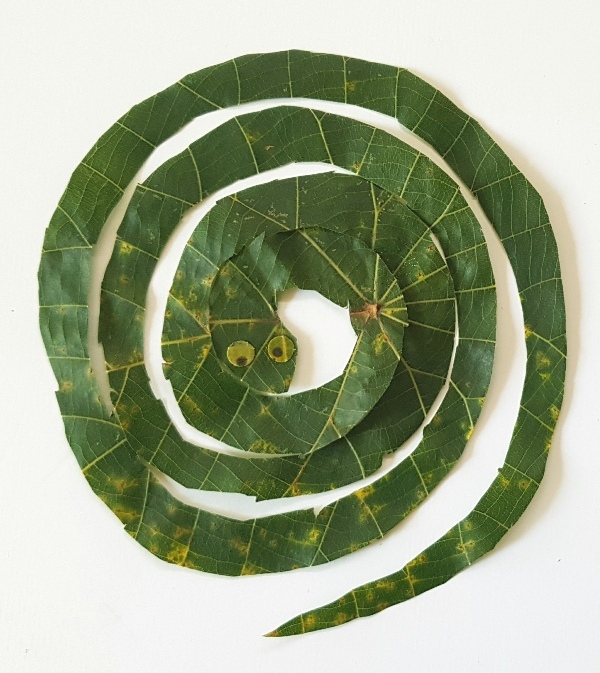 "Kuira ba" in the Rarámuri language loosely means "We are one." I believe this wholeheartedly in my life and my work, and when we all take care of each other, magic happens. Feel free to follow me on Facebook/Instagram/Twitter @karalubin and I will post (a bunch) more pictures and updates as we go...until we lose service. COACHES! Join the spirit of Mas Korima. 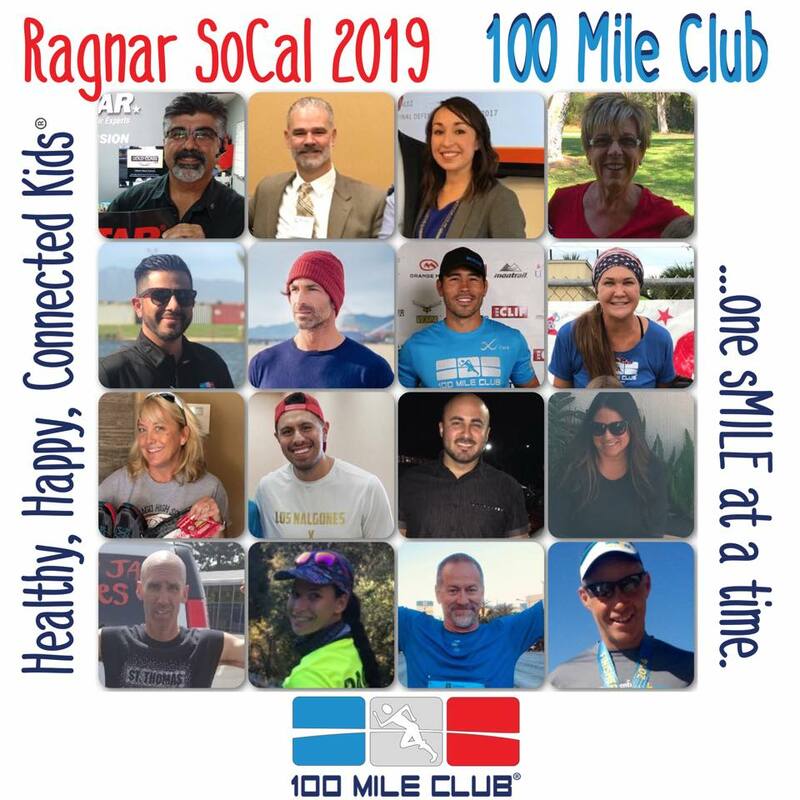 If you are interested in donating back unearned 100 Mile Club® tees to use for the 2020 UMCB Kids Race, please reach out to us at the 100 Mile Club HQ at 951-340-2290 or email us at [email protected] We will help you every step of the way. Mas Korima to again support the Ultra Maratòn Caballo Blanco events.